As PBS deepens the 21st century iterations of its core mission to education, culture and the arts, and news and information, the call to transform public media is pressing and urgent. The most vibrant sites of this transformation will be local. Indeed, the future of public media is happening locally. Imagine a near future in which every PBS station becomes a hub for collaborative social innovation. This is a major climate shift in the public media ecosystem––one that opens up the creative landscape of media production to everyday people through the power of story. In a joint collaboration with Columbia DSL, PBS is once again reinventing public media through collaborative design and story. Over the course of 2015, Columbia DSL designed and ran a series of labs in Nashville, Detroit and Austin that brought together media makers, community leaders, educators, activists and stations. 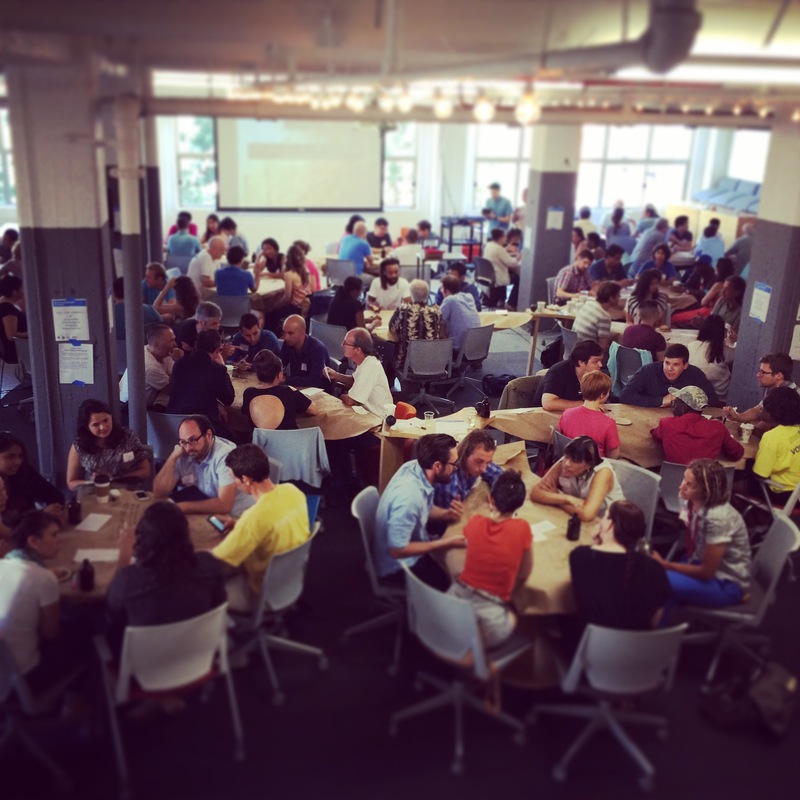 By harnessing collaborative design methodologies developed by Learn Do Share @ Columbia, a diverse group of stakeholders gathered to envision a different kind of community media. EVERYBODY is a media maker. EVERYONE is a producer. The capacity to produce, share/distribute our stories is unprecedented. Social media can be public media when powerful and meaningful storytelling enriches it. Through STORYTELLING, EVERYONE can become PUBLIC MEDIA, and EVERYONE will shape PUBLIC MEDIA. Transforming our PBS stations into social innovation hubs is the future-present of participatory public media. Through Learn, Do, Share, PBS will empower people and publics through collaborative design and the worldmaking of social innovation. By tapping into local stories, PBS’s new participatory public media will generate creative outlets that source the local. This is a movement of people/the community to the stations, and then back out into the world. This creative participatory flow, production, and distribution of stories will shape our national conversation. And through the integration of the artisanal movement of participatory media production, Learn, Do, Share will help PBS to make PUBLIC MEDIA for EVERYONE.